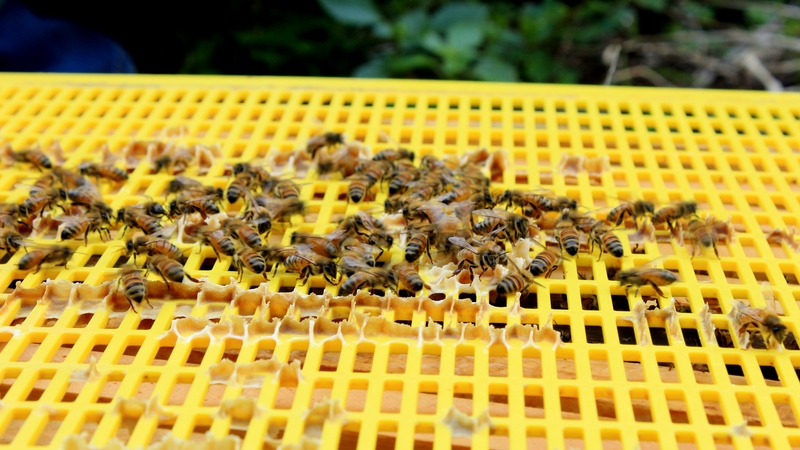 If you haven’t heard of The Urban Beehive, now’s the time to check it out. In Australia, we’re very lucky to have Doug Purdie who co-dreamed-up The Urban Beehive to keep bees alive and well in Australia by putting beehives in backyards, community gardens and rooftops, and raising awareness of the introduced threats to bees world-wide. We’re the last continent in the world free from the threats devastating and destroying bees internationally (and let’s keep it that way – and hope they find real solutions world-wide!). We do not see as many bees here as we used to, but hopefully with its growing popularity, The Urban Beehive will be able to increasingly turn Australian’s attentions to looking after these little but important creatures and keeping them around. It was a pleasure meeting Doug a couple of weeks ago to talk about bees, and instead of saying much more yet, I wanted to share a beautiful video by Mark Townsend featuring Doug and his wonderful bees. You’ll see more on this soon. Enjoy! Do you keep bees at all? Previous postSpeak Less, Breathe More. Simplicity.